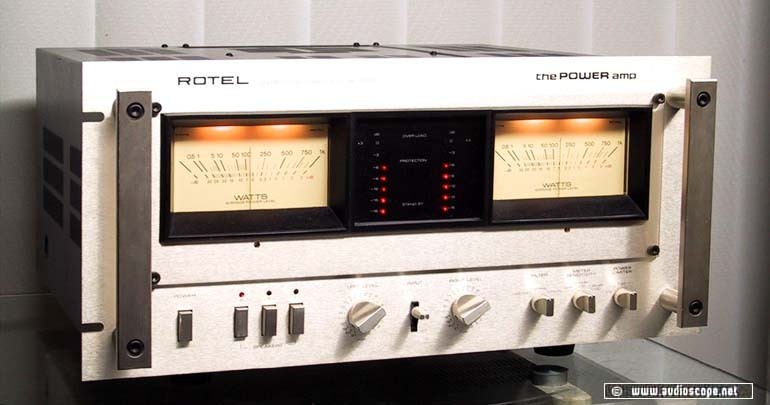 Rotel RB-5000, "The Power Amp" ! This pre- poweramp combination represent the biggest amplifiers ever build by the famous high end producer ROTEL. This is definitive state of the art / studio standart of the early eighties with the total weigt of 135 lbs/75 KG! This is absolute gigantism. It plays just like you want it to play, warm, dynamic, clear....all in all I would dare to call it tender. Creating different moods and ambients, it makes you fall into a journey of sound..... VOLTAGE SELECTOR 110-240 VOLT!! !